Olympia Journal, is a scientific journal published by the Department of Sports Education, Faculty of Teacher Training, Education and Language, Bina Darma University. This journal aims to accommodate the publication of scientific work for academics, researchers and practitioners covering educational sports, performance sports and recreational sports. 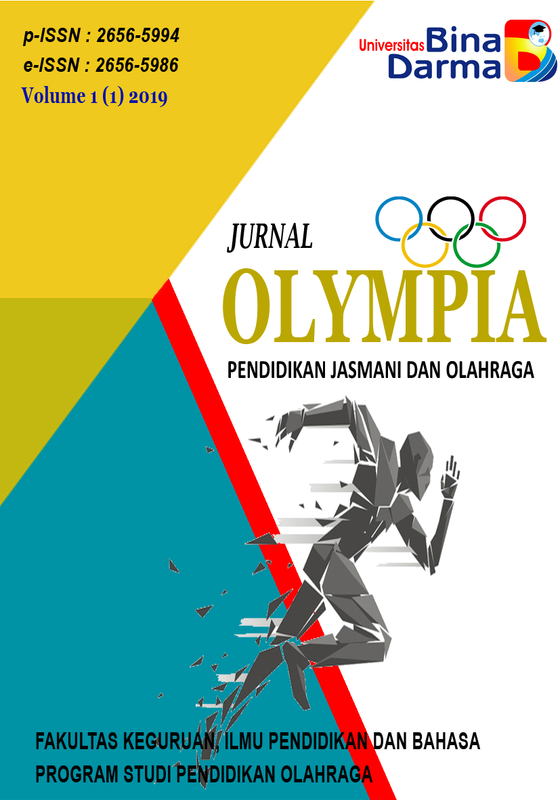 Olympya Jurnal oleh http://journal.binadarma.ac.id/index.php/olympia disebarluaskan di bawah Lisensi Creative Commons Atribusi-BerbagiSerupa 4.0 .